Flea treatment Kingston Upon Thames: NMT Pest Control Getting rid of fleas & effective flea treatments in Kingston Upon Thames, south west London, surrey, sussex. - Welcome to NMT Pest Control. We control bed bugs, moths, wasps, mice, mouse proofing, cockroaches, ants, flies, spiders and other unwelcome visitors. Flea Treatment Kingston upon Thames - Flea Control Kingston upon Thames- Flea removal Kingston upon Thames- Getting Rid of Cat & Dog fleas Kingston upon Thames. 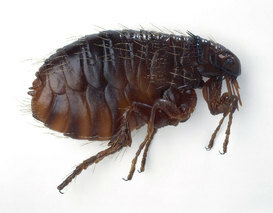 Flea Control Kingston upon Thames:The distress caused when bites are discovered on ourselves or on our children can be considerable. Thankfully effective treatments are at hand in London to deal with the problem, quickly and effectively. Although Cats and Dogs are the preferred hosts for these pests, they will, and do, feed on Humans when the opportunity arises. After every blood feed, the female flea will lay eggs, either on the host animal or near where the animal has been - such as bedding carpeting etc. Once the host animal (if there is one) has been treated, a spray treatment can be applied inside the property to kill all remaining Fleas and Pupa. To book a Flea treatment or for any more information please call Neil on 0203 2922179 today!